The Abuja Commitment made by the Federal and State governments to provide active leadership on polio eradication activities including routine immunisation, is a debt owed to Nigerians, Vice President, Prof. Yemi Osinbajo, has said. 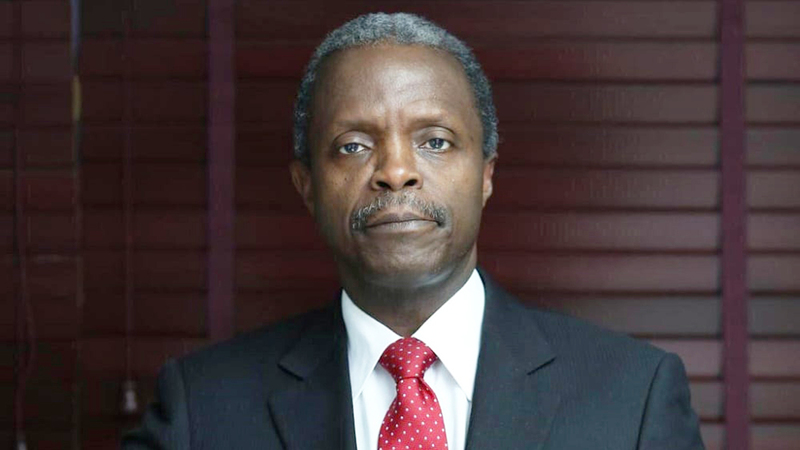 Laolu Akande, Senior Special Assistant to the President on Media and Publicity, Office of the Vice President, in a statement on Thursday in Abuja, said Osinbajo made the submission at the 92nd edition of the National Economic Council Meeting (NEC). “The Abuja Commitment is a promise we all made; it is now a debt that we owe to the Nigerian people. Osinbajo said the Federal Government remained resolutely committed to the crucial cause of polio eradication in the country, while addressing the State Governors and members of the Presidential Taskforce on Polio Eradication who were present at the meeting. He commended the Ministry of Health and the National Primary Health Care Development Agency (NPHCDA) for the remarkable progress that they have made in the polio programme. The vice president also commended them for ensuring that the country had not recorded any new case of the wild poliovirus in the last two years and encouraged them to sustain the tempo. The vice president commended the supportive efforts of the Nigerian military in the process. He added that there would be need for Nigeria to collaborate with its neighbours such as the Niger Republic and Chad. Osinbajo urged the governors to collaborate closely with the Federal Government, especially in the timely provision of funds, rigorous oversight, and other support that would fast-track ongoing efforts to totally eradicate polio and strengthen routine immunisation. The vice president commiserated with all the families of health workers, who lost their lives in the course of delivering services to humanity, in particular, the families of Saifura Husain, Ahmed Khorsa and Hauwa Liman, who were kidnapped and killed by Boko Haram. He prayed that God would give their families the fortitude to bear the great losses. Osinbajo also extended his sincere condolences to the International Committee of the Red Cross (ICRC) for the loss of the two courageous and committed staff. In his remarks, Minister of State for Health, Dr Osagie Ehanire, told the Council that the National Emergency Routine Immunization Coordination Centre had been driving innovation strategies to improve routine immunisation since its establishment in July 2017.